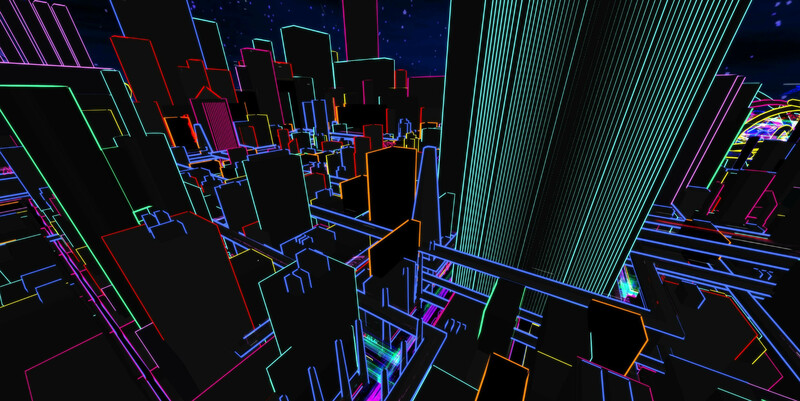 (released Jan.2015) A first person virtual world for satisfying spatial curiosity set in a nocturnal city, version 1.7 is a dark nightmarish environment, version 1.5 is a bright neonscape. This is the prototype that led to 0°N 0°W . "Dream.Sim is at once the melancholy walk home at four in the morning and the joyful escape you imagine as you rest soundly at night." "It is a very cool environment and atmosphere to inhabit." 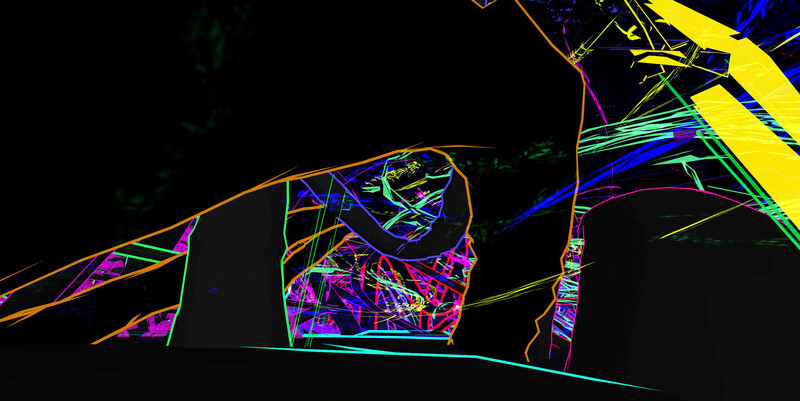 "Very dark and neon filled dream world begging to be explored"
"An engagement with a dream space which is messy, warm, celebratory, playful, disconcerting, a little sinister. ...—to pull out some cheap armchair-Jung—the exploratory dream space as an assertion of the ego, a process of "individuation," where the substance of the dream is a reconstruction of the self." 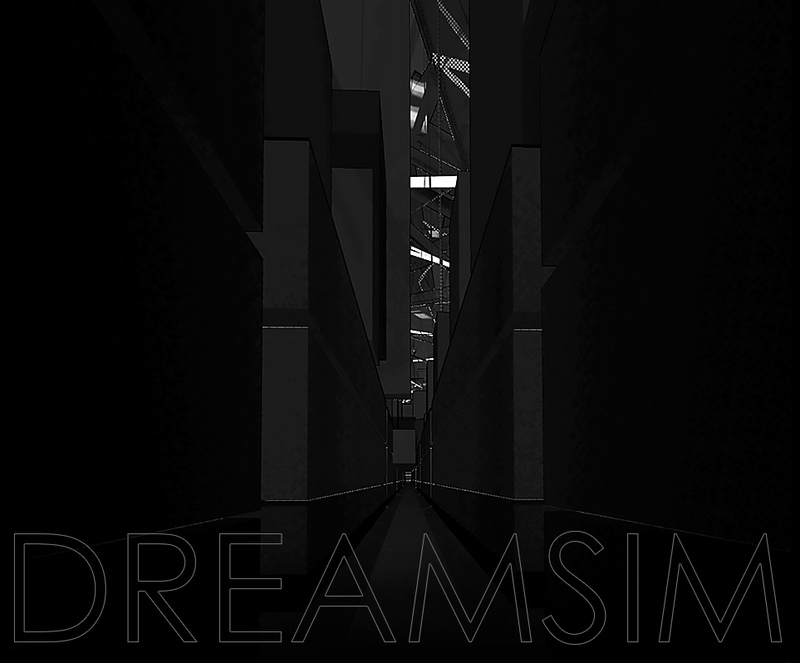 Unzip the file and run "DreamSim.exe". Adjust Quality settings, Integrated gpu's should select 'Fastest', select 'Fantastic' for the best visual experience! I remembered this game when I woke up today, 2-3 years after I played it. You've managed to somehow creep into my subconscious! I think what triggered the memories was the subtle hum of my heater, it reminded me of the subtle hum of the streets around the main building (or maybe I just associate a hum with that area). I keenly remember the weird glowing alarm clock and trying to climb to the top of the main building via the radial steps and trying to interact with those weird asterisk things that drive down the streets and in random directions. I really enjoyed just the ambiance of exploring a glowing, confusing city at night; thank you for this experience! Hey! Oh wow that's amazing and thank you for sharing! You're more than welcome. 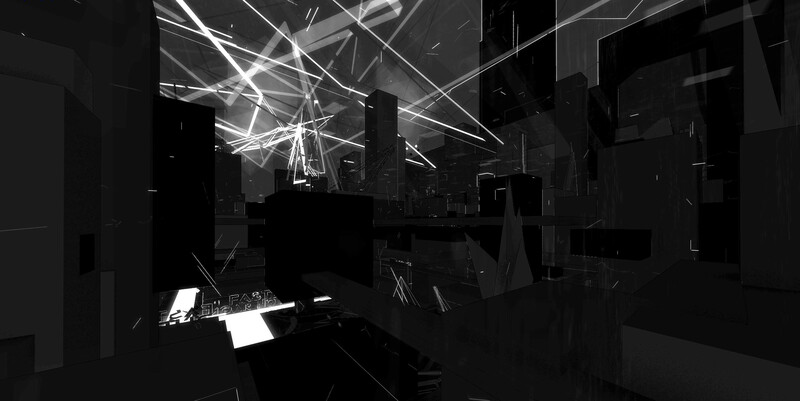 I love it when random things like a smell, a sound or a taste just remind you of those special moments in gaming/life, and for it to have brought up my game really means a lot :) The 'bigger, better, faster and stronger' (lol) edition of Dream.Sim is coming out in four weeks as 0°N 0°W, you should definitely check it out if you enjoyed this. All the best! Does v17 run on windows as well?